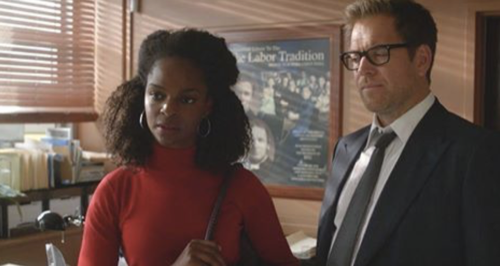 Bull takes Marissa to a Mayoral Fundraiser as his date. She brags about her new beau. At the dinner table, Bull starts drinking more wine. He bids on a carriage ride, driving the price up for fun. Just when he thinks he is in the clear, they offer the winner and Bull both a ride. He writes a check for $8k! On his way out, the mayor’s chief of staff asks him for a favor. He wants him to meet with a teacher and her lawyer. The teacher has been accused of changing standardized test scores. The next day, Bull meets with the teacher, Lacy. She admits that she changed the scores on one student’s test. He is one of those students others think is a lost cause. She doesn’t think so. She wants to give him a fighting chance. The team meets to review the case. Lacy is facing 10 years in prison. Bull believes her. They just need the jury to believe she did it for the right reasons. Benny is doubtful. Bull takes a walk with Lacy. She explains why she became a teacher. She is nervous she is in a lot of trouble. Bull meets with Lacy’s lawyer. He wants to use a necessity strategy. She did it to prevent the young boy’s life from turning into a tragedy. Her lawyer thinks it is a ridiculous strategy. She wants to put the standardized testing on trial, not Lacy’s bad decision. She heads to Bull’s office to meet the team. Bull wants to find the most Machiavellian jurors. Bull gives them all a paper test to see where they fall when it comes to right and wrong, black and white. They share their answers. They all score high which proves they all have a little Machiavelli in them. Even Benny scored high. In court, Bull gives a list of questions to Lacy’s lawyer to ask. She follows all of the questions until the end when she goes off script. She sits. Bull leans in to ask her what happened. She explains to him that she doesn’t work for him. Marissa wakes to see her boyfriend going through her finances. She is angry. He points out that she hasn’t any real savings, she has credit card debt and a big rent to pay for. He can help her. He can take $75k and turn it into $350k. He is a money guy that’s what he does. Bull talks to Lacy. He knows she comes from money. Why does she have a union lawyer? She admits that her parents weren’t thrilled that she became a teacher at a public school in the Bronx. She is an adult and she will deal with her decisions. Chunk works with the student so he knows what to say when he takes the stand. The next day, the student takes the stand. The prosecutor questions him about the history of his grades and scores. Tyler loses it on the stand. Chunk tells Bull he did his best to prep him. Bull comes back to the office to see Marissa having a stiff drink. He asks her what is up. She talks to him about having a hard time trusting people. She tells him that her boyfriend offered to do something thoughtful for her the other night and in turn, she threatened to have him arrested. She heads home to see him and apologize. The lawyer cross-examines a teacher who inadvertently admits that Lacy could not have changed any other tests that were manipulated. She only changed one answer and judging by the evidence that looks to be correct. Outside the courtroom, the prosecutor approaches Bull. He wants to cut Lacy a deal for the other 5 teachers names. She can have her career back. Bull and the lawyer meet with Lacy the next day. They think she should take the deal. She can’t. She cannot ruin other teachers’ lives to ensure her own career. Lacy’s lawyer quits. The next day, Lacy takes the stand. Benny questions her. She describes Tyler’s extremely dysfunctional home life. She explains that she knows Tyler is a B student. That day he was late and having a bad day. The prosecutor questions Lacy. He points out that she deceived everyone. He makes her say out loud that she tampered with the exam. Benny gives his closing argument. Lacy doesn’t get jail time, but a felony. Now she can’t teach. Bull is in shock. He promises to fix this. The team watches in horror. Bull shows up to his carriage ride. He asks the mayor’s chief for a favor. He needs to help Lacy teach again. The chief admits that Lacy’s father is a huge contributor to the mayor. He asked for the Mayor’s help. The mayor sought out Bull. Now Lacy will most likely teach at a private school somewhere in Massachusetts.